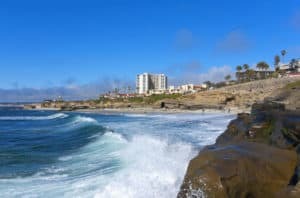 Solana Beach, CA is what is best described as a “charming seaside” community located about 30 minutes north of San Diego. Commuting is made easy thanks to Amtrak and Coaster available at the local train station. With winters in the 60s and summers in the 70s, no one could say they haven’t found their own little slice of paradise. Moving here, on the other hand, shouldn’t be so stressful that it disturbs the peace and quiet. As one the nation’s top house moving companies, Republic Moving & Storage is here to help with moving teams who are familiar with the area and how to deliver your household goods in such a way as to not overly disturb your new neighbors. One of the best things about moving to a new town has to be finding out where all the fun things to are. Solana Beach may be a small quiet community, but there is no shortage of things for you and your family to do once you get settled in. Among the most popular are: Fletcher Cove Park, where everyone can go swimming, kayaking, surfing, or sit on the observation deck and watch the world go by. If you like to watch horseracing, the Del Mar Race Track is only a mile away and has races throughout the year, a dining facility, and much more for you to enjoy. If shopping is your thing, then you are going to love the Cedros Avenue Design District a shopping center like no other. There are dozens of stores, taverns, wine bars, a microbrewery, and a farmer’s market all under one roof. When it comes to house moving companies to help with your move to Solana Beach, CA, you need one with the professionals to get the job done right and one that knows the local area. At Republic, we have been in the business of successfully helping families move around the country and the globe for over 60 years. If you have had a bad experience with one of those other house moving companies and are ready to try the best, contact Republic Moving & Storage at (619) 317-0163 and let us send one of our experts to your home for your free quote.